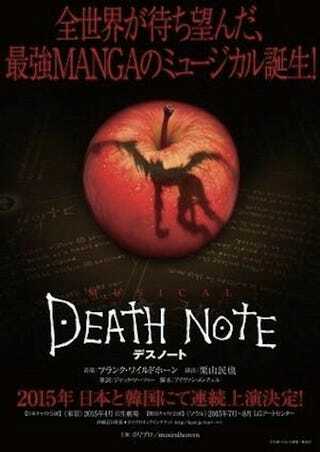 Japan is turning the manga/anime/live-action movie series Death Note into a musical. Japan is turning the manga/anime/live-action movie series Death Note into a musical. The series, about a teen with a notebook that kills anyone whose name he writes in it, and the teen detective who tries to catch him, seems like an odd fit for a musical, but it also seemed like bizarre idea for a manga. So why not?